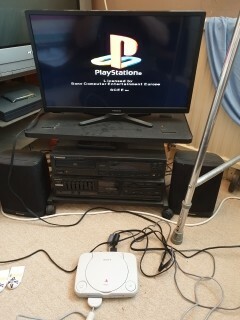 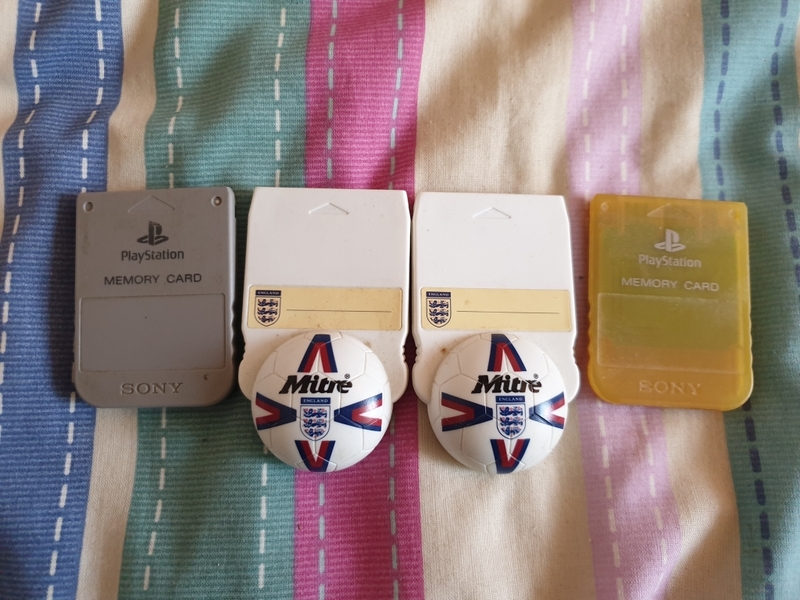 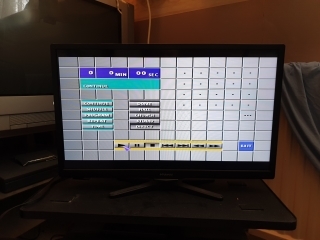 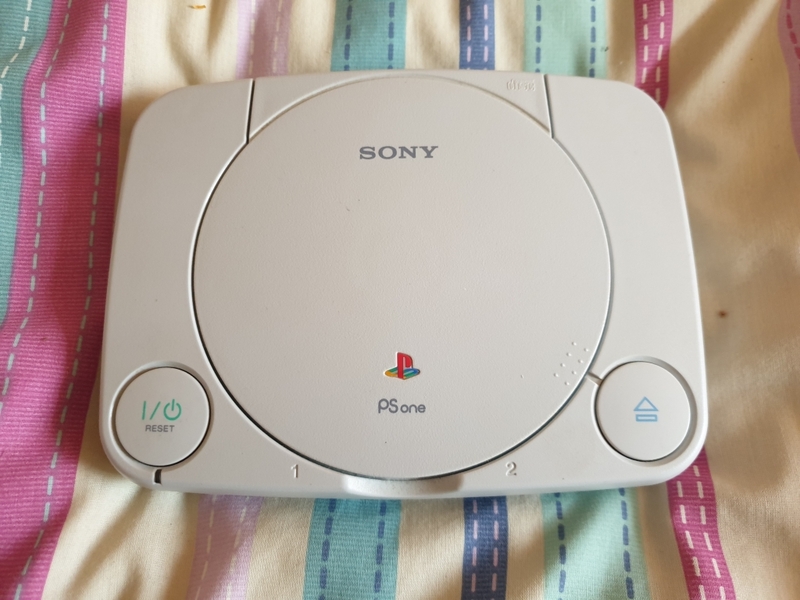 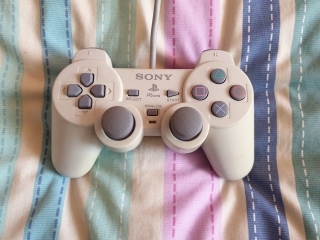 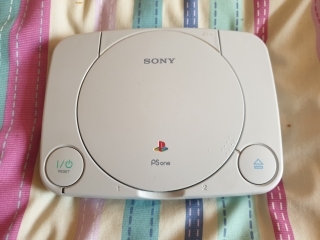 This is the revised version of the PlayStation, which was smaller, lighter, had reduced buttons and ports, and was more power efficient than the original. 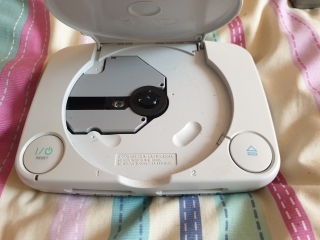 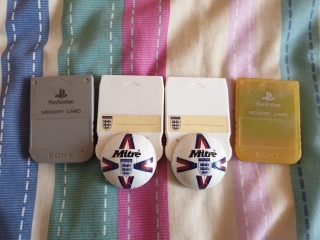 The front of the console has the same two controller ports and two memory card slots as the original. 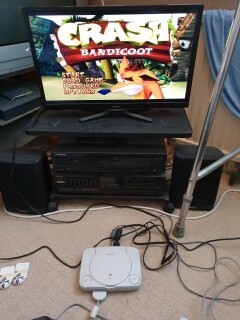 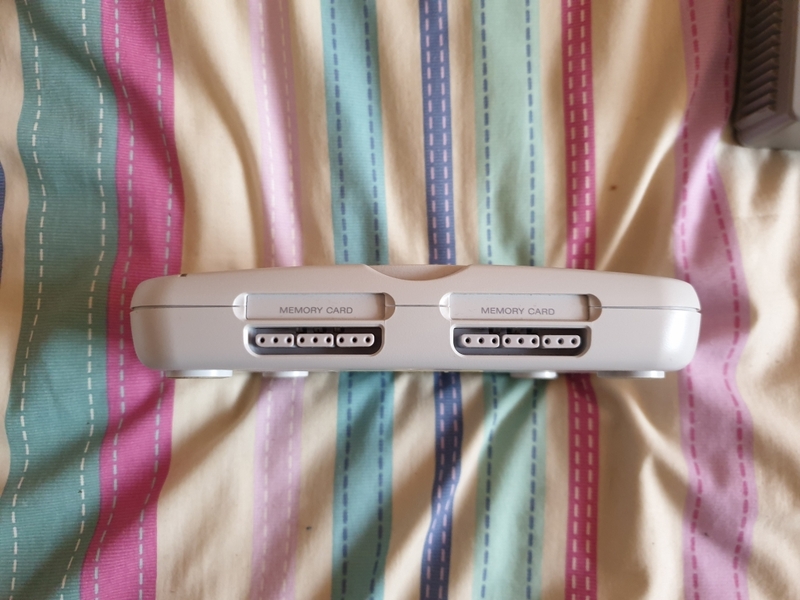 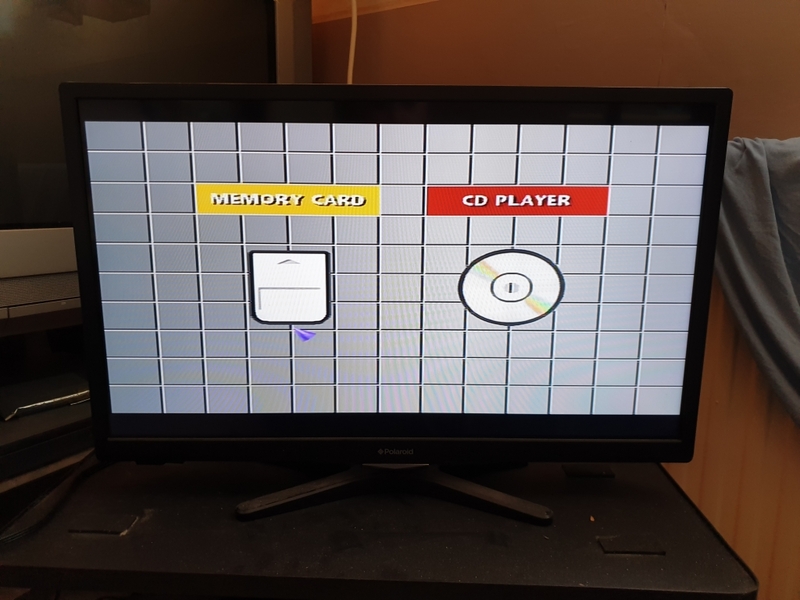 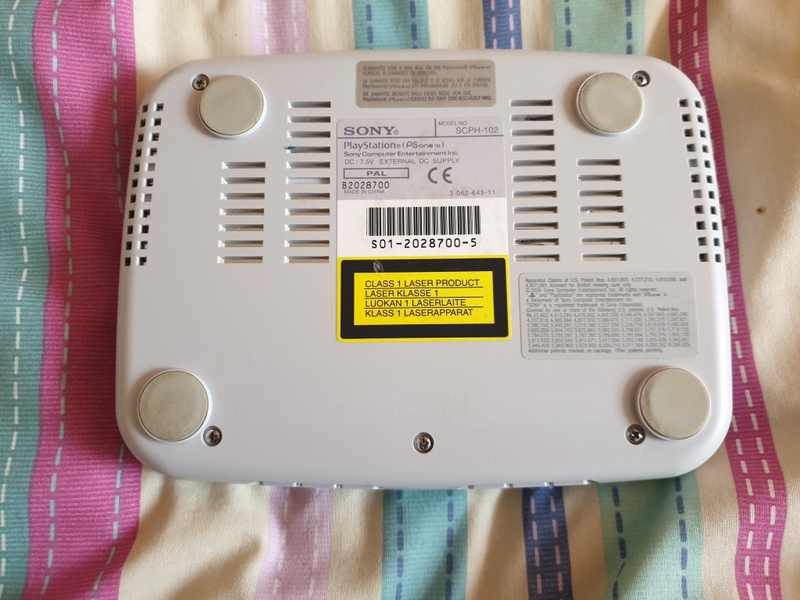 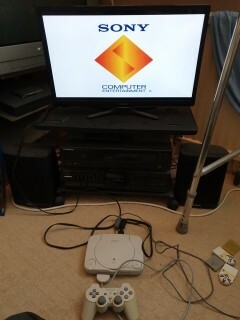 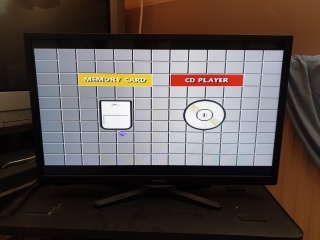 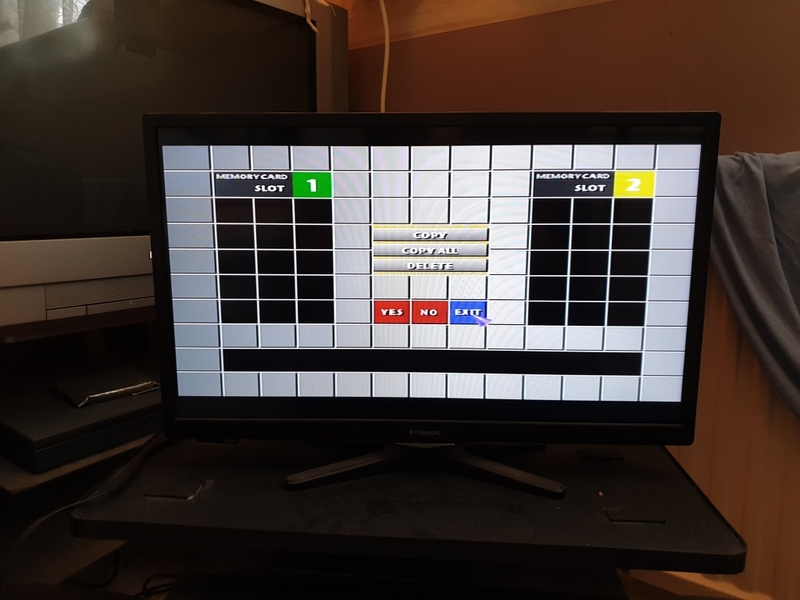 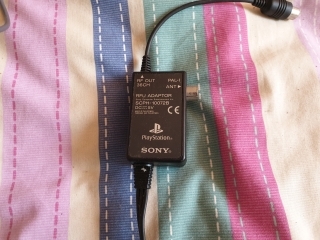 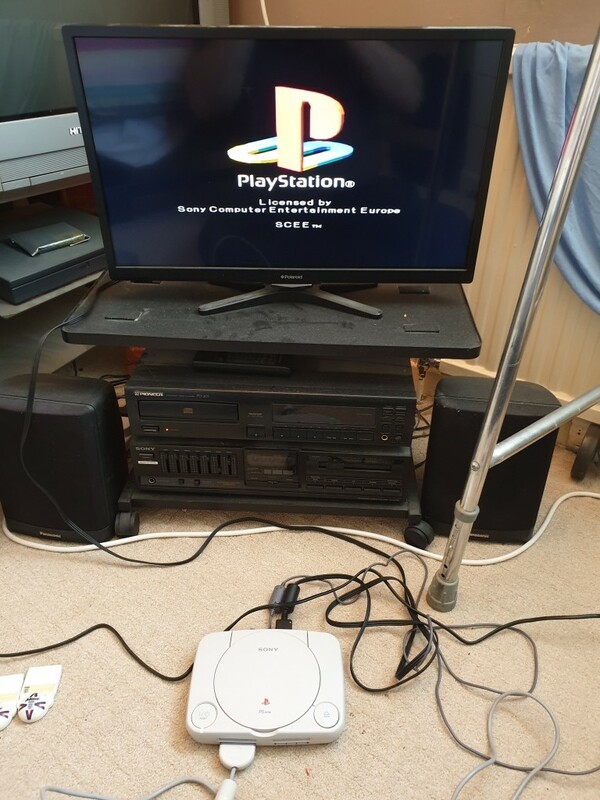 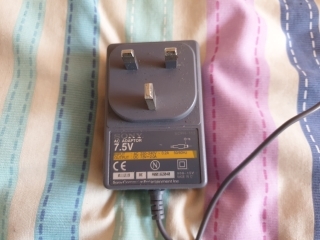 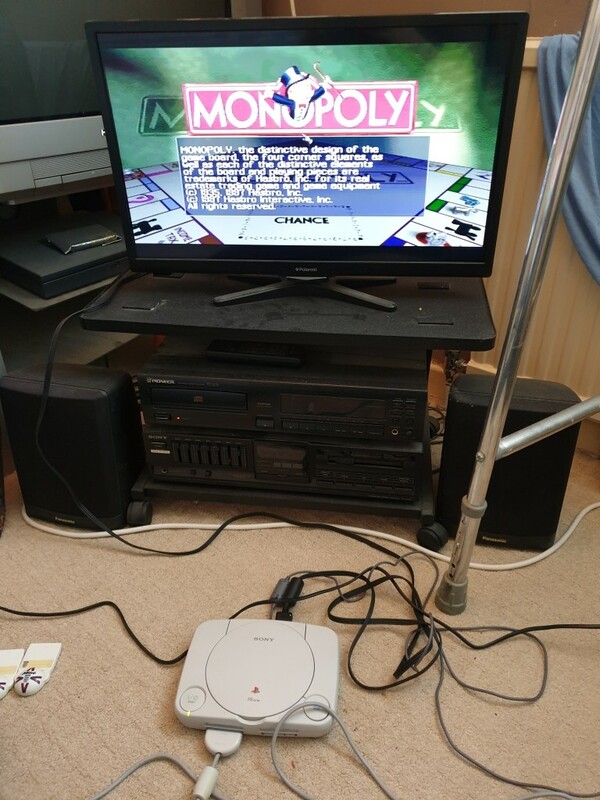 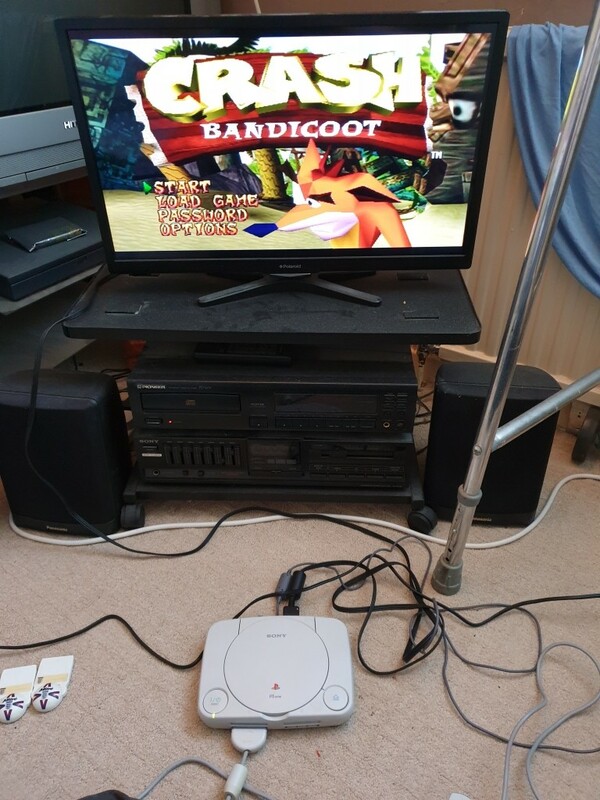 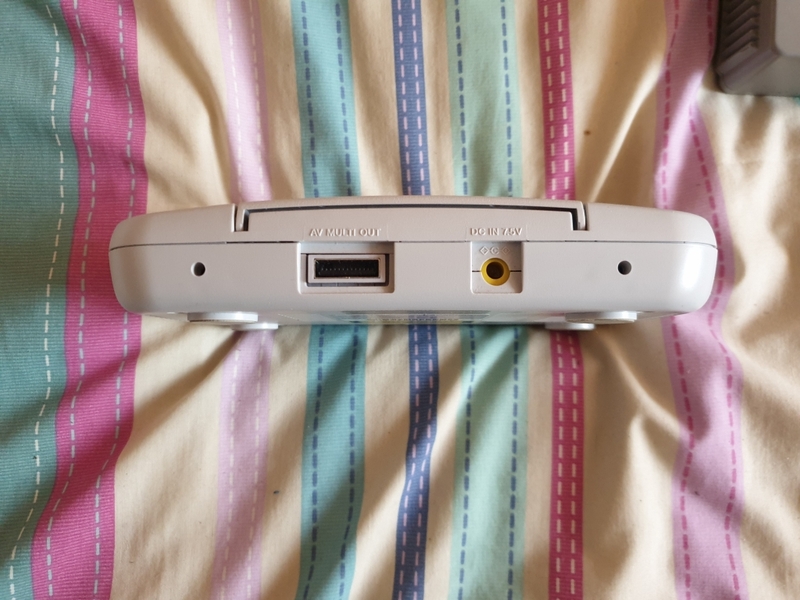 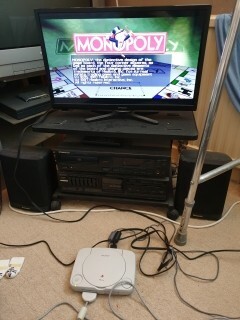 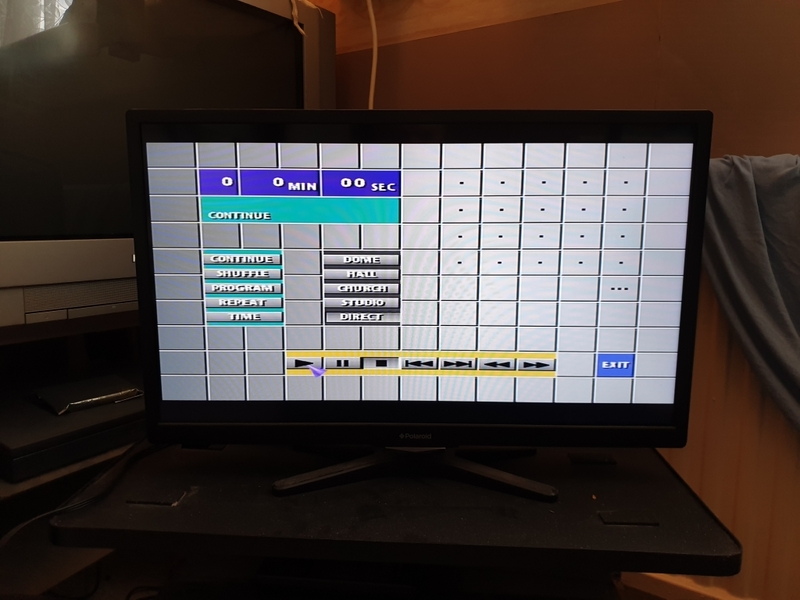 The rear has the same AV multi out, but has a socket for an external PSU, which is typically Sony and has an odd voltage (7.5V), you may notice the serial and parallel ports are not there. 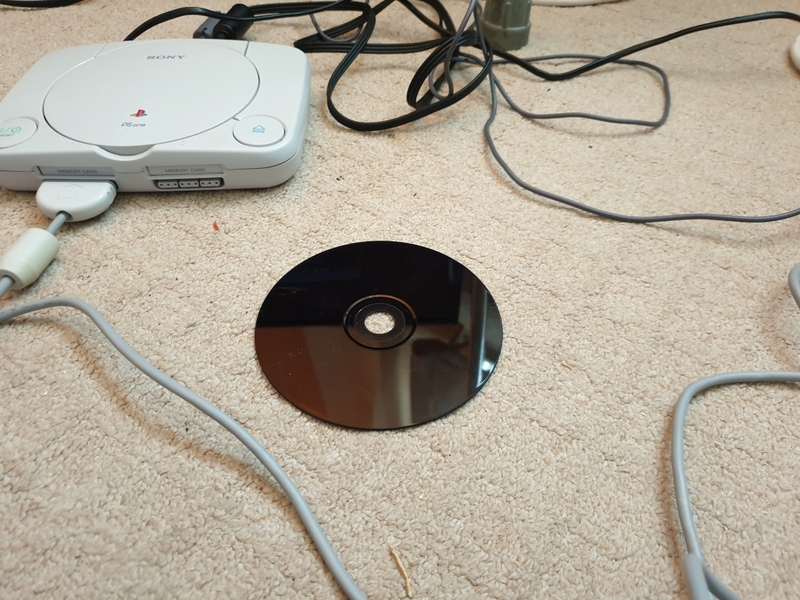 Who remembers when game discs were black?